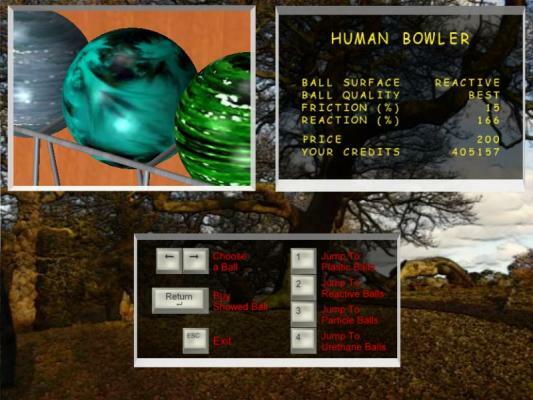 You start in the Global Bowling world with 2 low quality balls and 5 credits. Earn credit in the official challenges and tournaments. Invest in new balls and tournaments fees and aim to the top! With a network connection, you can challenge a friend anywhere in the world. 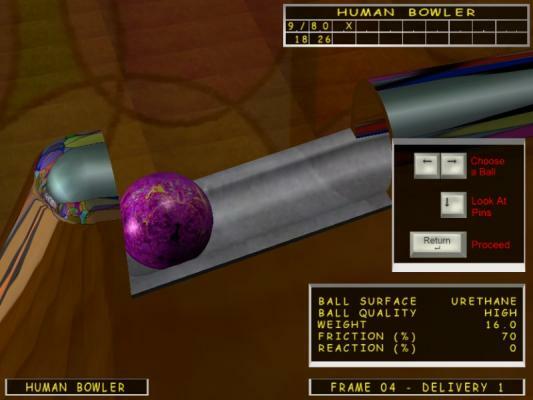 How good are you as a Virtual Global Bowler? Send your stats to participate to the Global Bowling rankings and find out!! 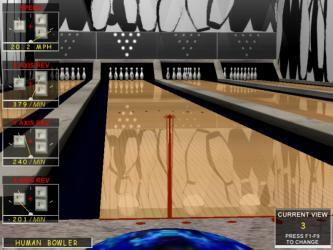 Play with up to 4 bowling players over the Internet and watch real time opponent release action! 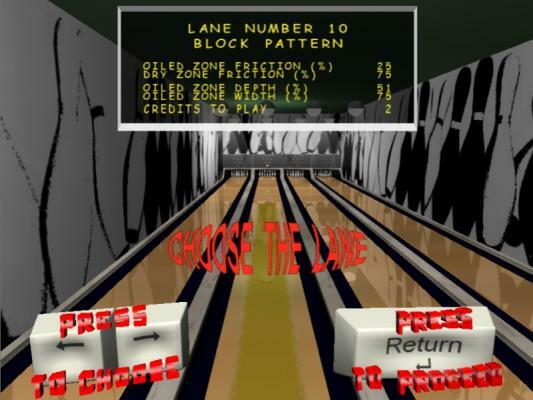 Play on 10 different bowling lane types with specific characteristics: different oil patterns (flat, tree, block, reverse block), frictions (oiled and dry zones) and oiled zone extensions. 35 types of balls with different characteristics such as ball covers (plastic, reactive, particle, urethane) with specific hook potentials and reactions. ball quality. Ball weights from 10 to 16 lbs. For advance bowling players and connoisseurs.